The Fly is our favorite place to watch the sunset. This is the unofficial name of the park sandwiched between Audubon Zoo and the Mississippi River. It has plenty of grass for picnicking and a nice breeze off the water. Plus, you can watch the ships pass. People bring their dogs, coolers, chairs, booze and frisbees. To get to the Fly, take Magazine Street to the zoo. Turn onto West Drive (by the bus stop). If you are facing the zoo, it’s the road to the far left. West Drive takes you along the edge of the parking lot and stops at what looks like a service entrance. It’s actually the entrance to the Fly. Veer to the right and follow the road under the blue metal arch. You’ll go over the railroad tracks and then the road will pop you out in the park. There’s parking along both sides of the street. Pick a place that looks good to you. Some people try to get the little gazebo, but most people are happy setting up on the grass. Warning: It’s a one-way street so don’t be too picky with parking. You have to do a full loop around the zoo if you want to go back. The Great Lawn also is a good place to picnic. It’s a big grassy area and has porch swings. Not a lot of shade, but this is a good place for big groups. There’s parking around the Great Lawn (near the Peristyle) so you don’t have to haul your stuff far. Our secret spot –– shhh, don’t tell anybody –– is Goldfish Island. It’s a teeny tiny island on the bayou behind the Peristyle. It’s hidden from the road and you have to walk maybe 10 minutes from the road, but you usually are rewarded with a private picnic spot under the Live Oaks. There’s grass to spread a blanket out on and there’s a big concrete bench too. 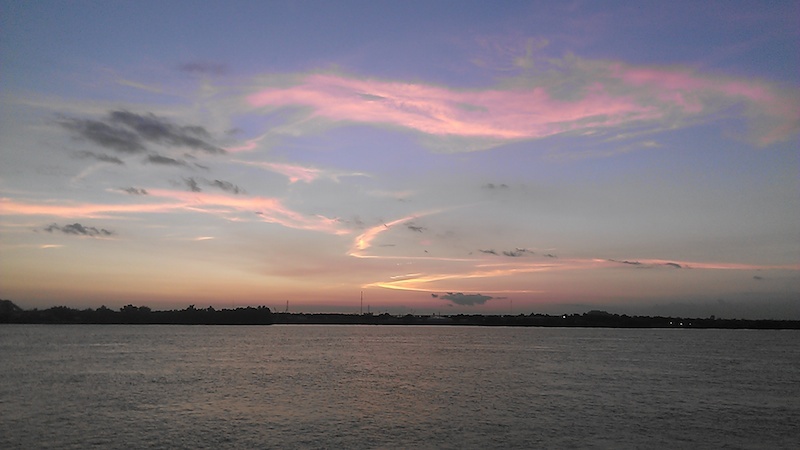 Plus, the bayou reflects the clouds and the sunset. Gorgeous place. Here are directions to the island (no boat needed). The neutral ground is the grassy median in the middle of roads such as Napoleon and Claiborne. It’s an easy place to gather if you live near one. Parking is easy – find a spot on the side of the street. 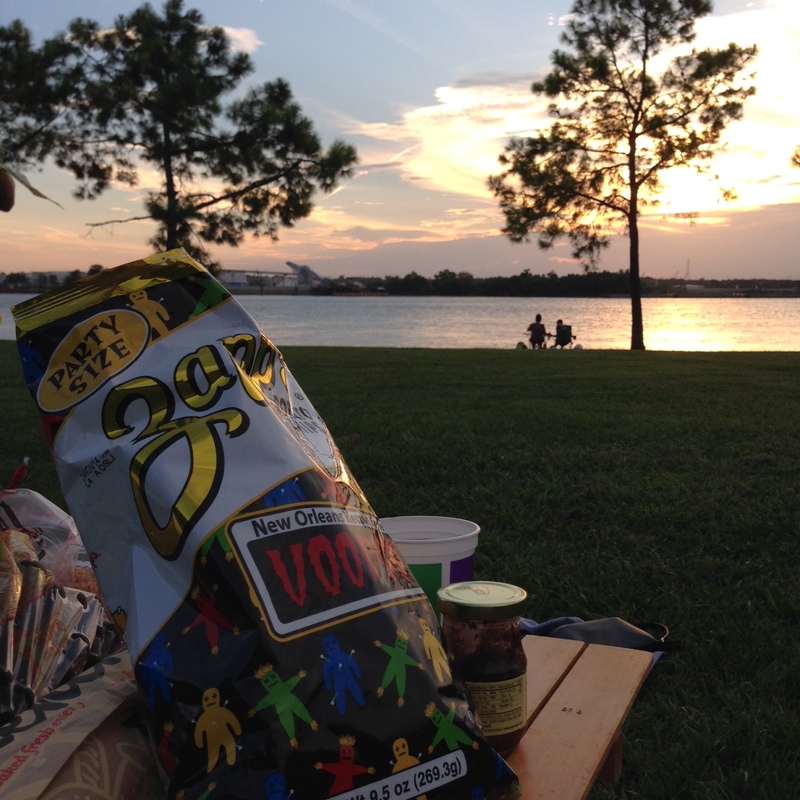 We had a picnic last year on the Napoleon neutral ground. The road, sadly, has been torn up as part of a construction project, but the section north of Claiborne still is nice and grassy. 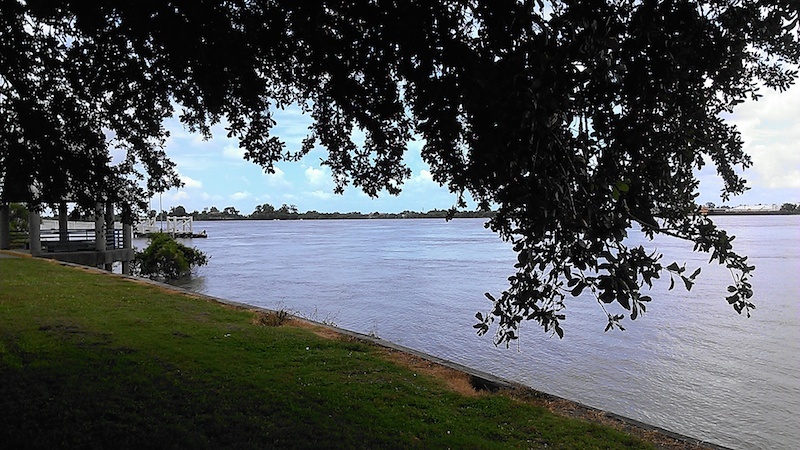 Woldenburg Park is downtown along the Mississippi River from Audubon Aquarium to Cafe Du Monde (the Jackson Square overlook). 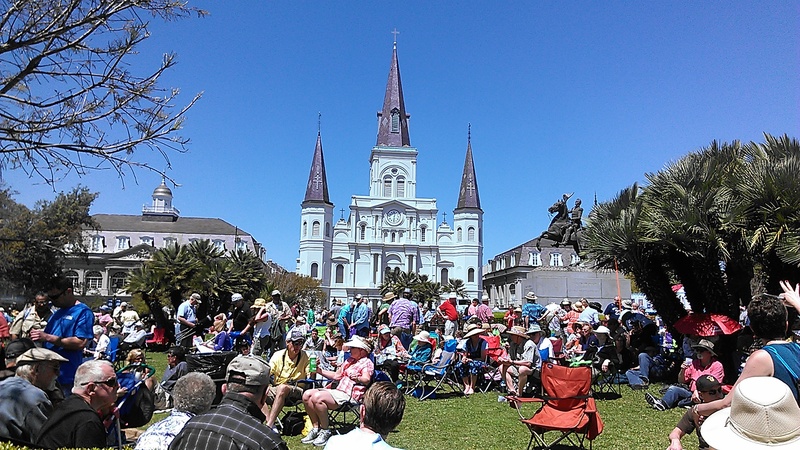 It’s a good place to have a leisurely picnic if you are in the French Quarter. There’s also a large, handicap-friendly sidewalk that runs the length of the park. Not much shade in this park, but you get a nice breeze off the river and you can watch the ships and the riverboats pass by. 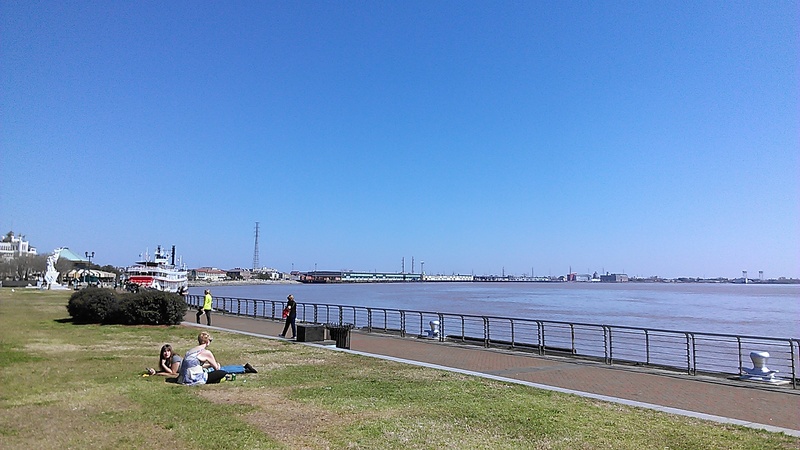 To get to the park, you can enter from Canal Street and walk between the aquarium and the river. Or you can enter from the French Quarter side. Any of the lots along North Peters and Decatur streets are good places to park and provide easy access to the park. 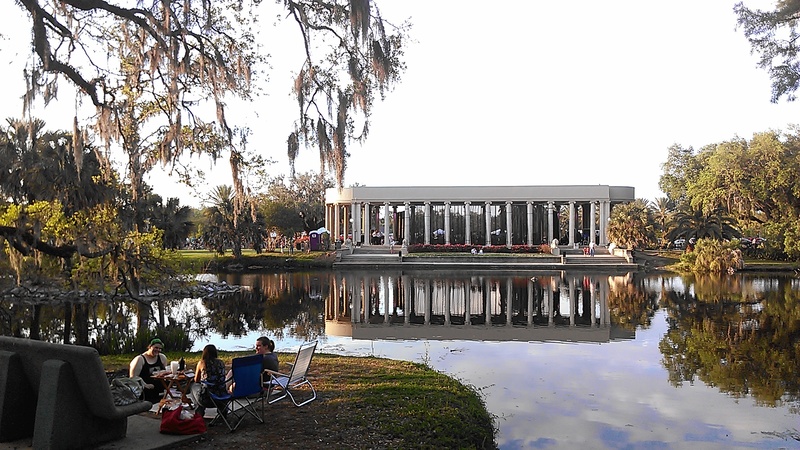 PS – Woldenberg Park is the home to several free concerts and festivals (Oyster Festival, French Quarter Festival, etc.). Good place to get acquainted with as a new person on a budget. 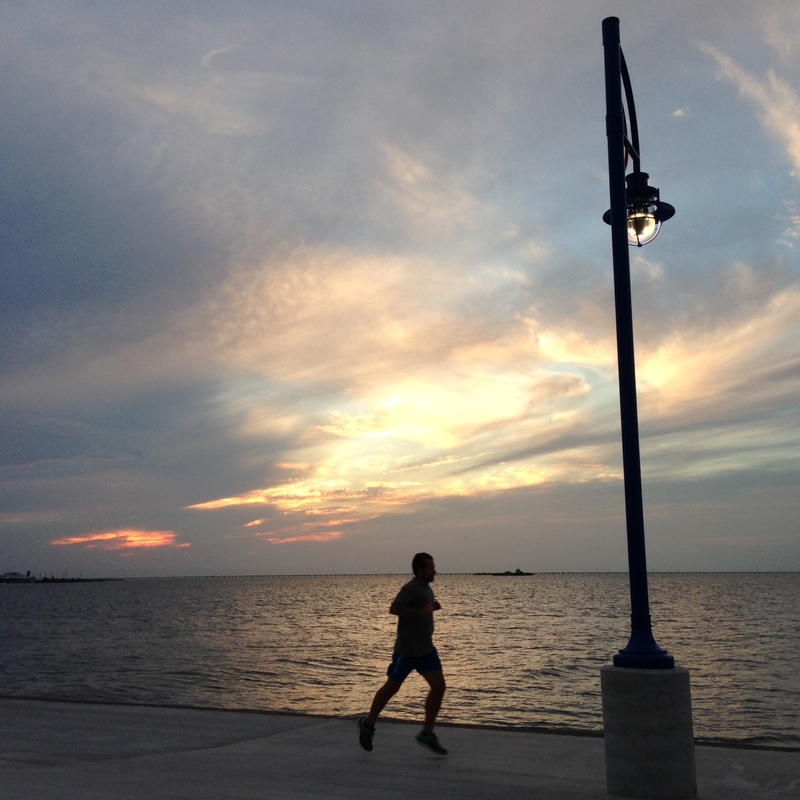 The lakefront is another good place to watch the sunset over Lake Pontchartrain (pronounced: “Pon-chuh-train”). 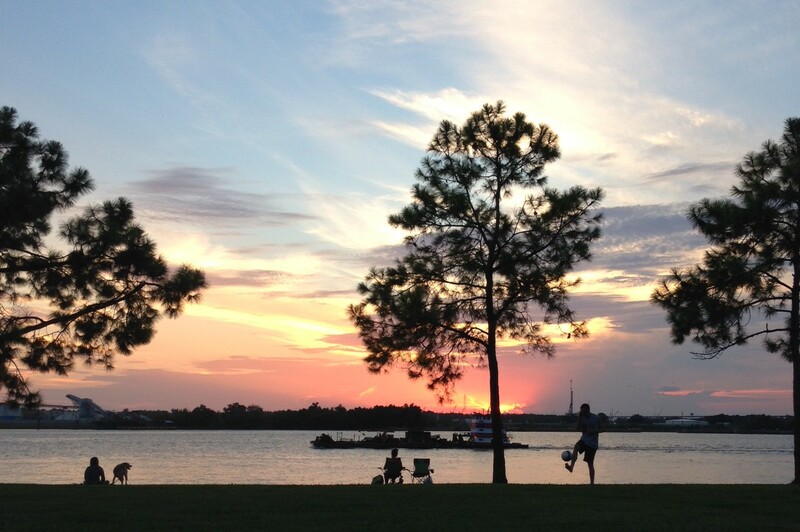 People sit in their cars or in their truckbeds, eat a snoball and watch the sunset. There’s space on the grass and on the concrete to set up chairs and picnic. 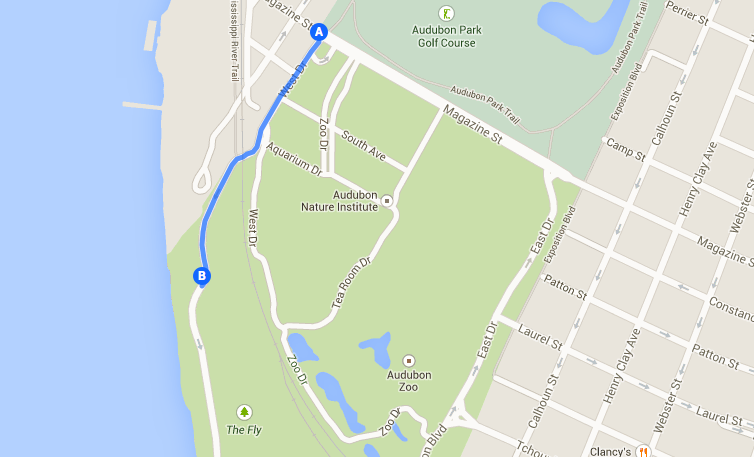 To access the lakefront, you can take Canal Boulevard all the way to the end. It dead-ends into Lakeshore Drive. 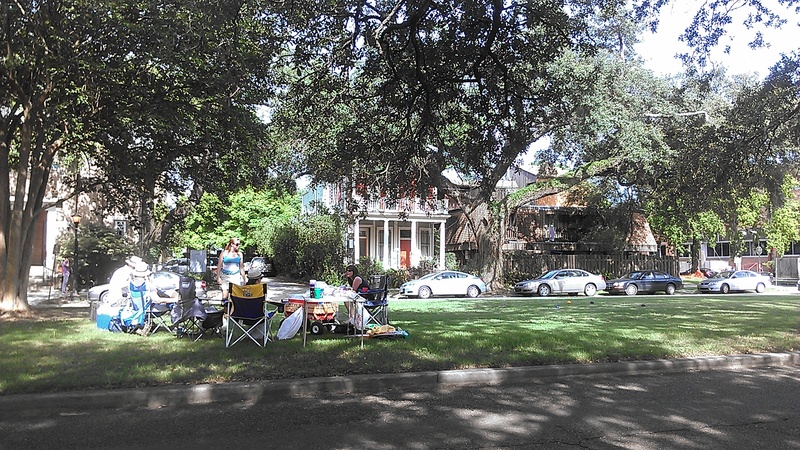 Audubon Park is Uptown and is close to the universities. It has parking lots, three playgrounds, a walking track and bathrooms. Read more about Audubon Park here. Jackson Square is a good place for a quiet lunch/snack in the middle of the Quarter. Suggestion – grab a muffaletta from Central Grocery then find a shady spot under a tree or on a bench and enjoy your lunch. New in NOLA tip – try not to park yourself near the statue of Andrew Jackson unless you want visitors asking you to take their photo in front of the cathedral. This a pretty place to picnic if you are on the north shore. The north shore in the area of Lake Pontchartain that’s north of New Orleans (St. Tammany Parish, Mandeville, Covington, Abita Springs, etc.). You can easily get here by taking the Causeway Bridge across the lake. 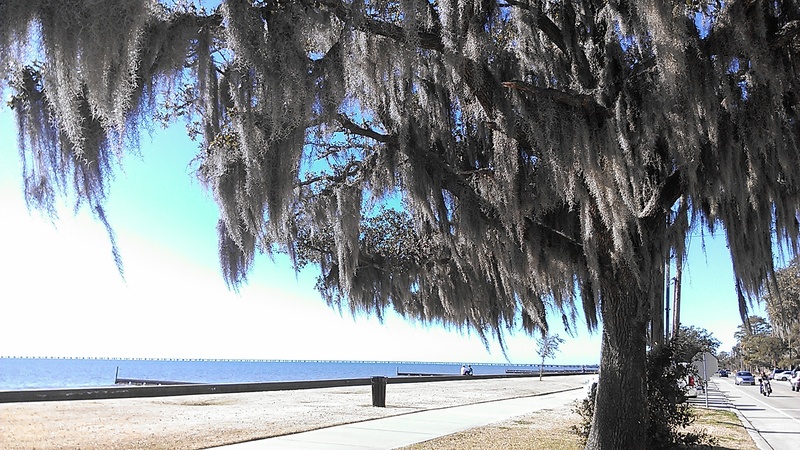 It’s free from New Orleans to Mandeville, but there’s a $3 toll to return to New Orleans. Did we miss your favorite picnic spot? Tell us about it in the comments.